DISCLAIMER: This website is intended to provide general information only. 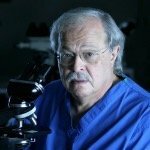 All communication betweeen any user and Dr. Michael Baden and his office are made on a non-confidential basis. User gives up any privilege or copyright protections in user’s words or documents when contcting Dr. Baden through this website. Nothing contained herein is medical, medico-legal, forensic, or legal advice. Nothing herein creates a professional contract between the user and Dr. Michael Baden in any capacity. This website is not intended to give medical, forensic,medico-legal or legal advice or advice of any manner. It is important to seek advice from the independent professional who you have hired before taking any action on any such matter. All information on this website is subject to change, without notice and the entire risk of the use of the information on this website remains with the person using such information.